Been a sad 2009 year for google. Not only it faced advertisers downfall and rivals uprising but also the imitation of its own domain name. A Canadian small business company named 207 media, has open a domain in the name of Groovle.com for serving the goal of search engine purpose. Well, if your thinking that its a new search engine, then let me put it this way. 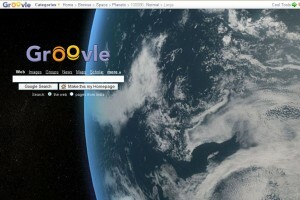 Groovle.com uses google search engine bar in the page for search. So Legally, they are using googles search operation. The additional feature in Groovle.com is that, the website will allow the user to select an image or they can upload any image from the system and make it their desirable homepage and then proceed to search. If your unclear in this , have a peep on the image i have loaded. Well, google sued groovle in the court and ask the jury to give the groovle domain to google. The Jury though dismissed the claim. This is only the second time out of 65 cases where google has been refund on their request. The three judges who was appointed for this case said the name was not similar enough to confuse people and the word ‘groovle’ was more closely linked to “groovy” or “groove” rather than Google. Not a good year after all. Right Google!!! Microsoft reports first ever loss!